Apple Cakes Saved Her Home | New Growth Hair Magazine | We capture the culture of urban barbershops and beauty salons. In 2009, Angela Logan, mother of three was on the brink of financial disaster. Logan was on the verge of foreclosure, had no money, and didn’t know where to turn. Logan depended on income from hair styling, substitute teaching, modeling, and acting to pay her mortgage. The talent agency that handled Logan’s acting career and the contractor repairing her storm damaged home went out of business. Overnight, Logan’s streams of income seemed to dry up and she was days away from losing her home. Pamela Glass, Angela’s credited counselor told her that she needed to figure out a way to raise $2,500 in ten days to save her home. Angela thought about returning to the beauty salon, acting, or modeling but she knew that she couldn’t generate the required cash in time. 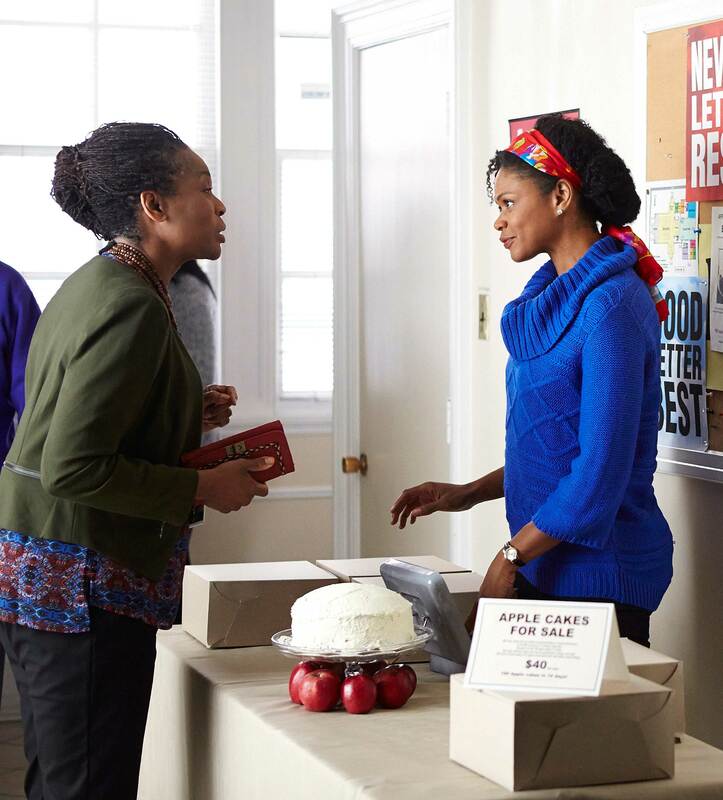 Angela’s final idea was to bake one of her children’s favorite cakes which she renamed “Apple Mortgage Cakes” and to sell them to raise the $2,500 to save her home from foreclosure. 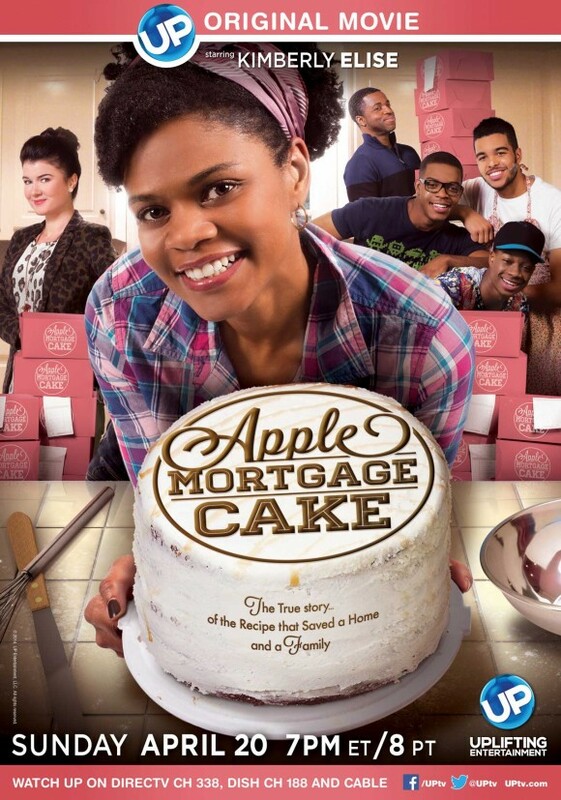 “Apple Mortgage Cake”, stars Kimberly Elise (Diary of a Mad Black Woman and For Colored Girls) as Angela Logan, is an inspiring movie that recently debuted on the UP Network which tells Angela’s story. Angela Logan (left) Kimberly Elise. All images courtesy of Uplifting Entertainment.All images courtesy of Uplifting Entertainment.All images courtesy of Uplifting Entertainment.All images courtesy of Uplifting Entertainment.